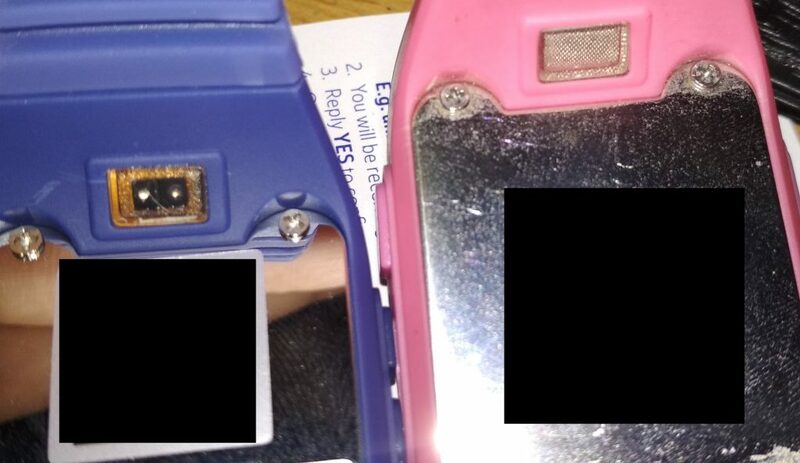 So after 2 years after the first GPS Watch that I bought for Princess E, I’ve decided to get another one for her as the one she’s been using started to wear out (eg charging cap came off, and buttons are slightly more difficult to press). So I decided to shop around to see what are the newer options that I can get for her this time. After 2 years, prices of these watches did dropped to about 50% from my initial purchase but mostly they are from overseas. No doubt they were 50% cheaper, as some of my readers and friends who bought them told me was that they did not include the GPS module. Despite standing out in the open for 30 minutes, they were unable to connect to the GPS. Only to find out that those sellers did not include the GPS module hence cutting cost of the product. So to avoid those complication, I’ve decided to shop locally instead and found this seller Skhong who also happened to run this website. So what caught my attention was that he’s very well verse in this product, also the watch he’s selling uses 12H format instead of the 24H format that I believe all of us are using. And the price I paid was pretty much the same I paid for 2 years back so it’s fine with me. Setting up the watch was easier this time round, as I didn’t have to update the APN as well as IP URL, as he already pre-set them for me unlike the previous watch. So just by scanning the QR Code I was good to go in the SeTracker 2 App. The good thing about him was that, shipping was indeed quick. I’ve received the watch in 1 working day, as compared to 14 working days if I were to order from China. So I was quite happy with that, and Princess E will be able to use her new watch soon. So the very first thing I noticed is the display where it uses OLED instead of the LED version as shown in the picture above. Plus it’s really using 12H format, so Princess E wouldn’t have a hard time trying to recognize the time. Build quality seems to be pretty much similar, but for the same price I paid 2 years ago I’ve finally have the Remove Watch Alert Module. This was missing from the previous watch, and I’m now able to be notified if she’s taken off her watch. I didn’t realized how useful this feature was, as this will help me ensure that we won’t call her when she takes off her watch and stuff it in her bag. So we won’t be terrified and try to call back when the SOS button got accidentally pressed inside her bag. Happened once, and let’s just say it wasn’t a good idea calling her in the middle of class. One last important thing I’d like to point out is the sound quality from this watch. The speaker and microphone on this watch is really good, as it was clearer as compared to her first watch. We love the idea that we don’t need to get her to repeat herself over and over again as sometimes we couldn’t really understand what she say. Because her best also got this watch as well, they couldn’t stop sending message to each other via Button 1 the Make Friend feature. But in order for you to have this feature, you need to inform him first to help you activate. As by default, it’s turn off because not many knew how this feature works. Never the less, he was quick to help me get this feature back up and running. In conclusion, should you get this watch for your kids? I highly recommend it, if you get it from the seller Skhong. With his vast experience, and superb after sale service. All I can say, you’re in good hands! I would love to do a video comparison on the 2 watches for you to see. But my son accidentally formatted the watch, while I was trying to do a full backup of the ROM on the previous watch. So basically it’s not working at the moment till I can find the firmware. If you guys have problems setting up this watch, feel free to head over to my first post for support there. If you need to know any more question regarding this watch from Skhong, feel free to post it here and I’ll be glad to answer them for you. really interested with this watch. regarding the no water proof is it really cannot like wash hand or kena rain. will it totally damaged the watch. You should get this watch. Just make sure when she washes her hand she don’t wash the watch as well 😉 Friend daughter took a shower with it, still working fine after a few days of drying it. Make sure the water doesn’t goes in the charging port it should be fine. 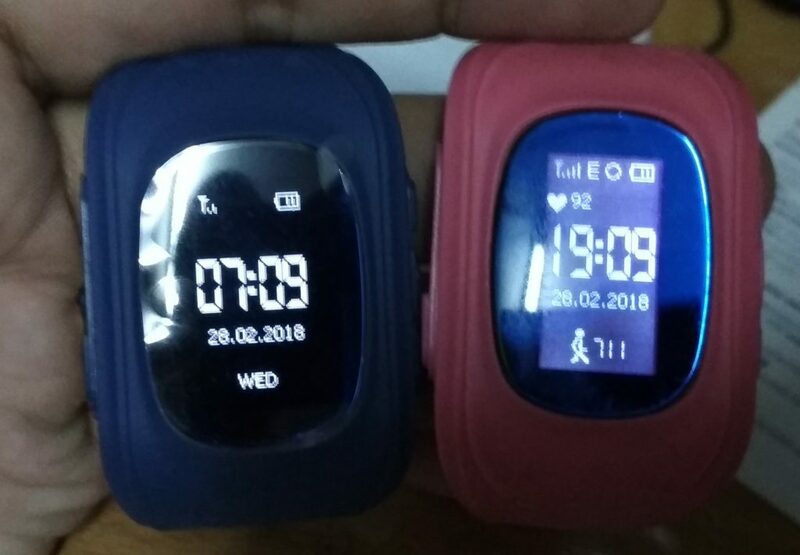 Thanks for sharing bro, I was suspicious as to whether or not the ones i got (dirt cheap – from China through lazadadida) are in fact without the GPS module till i came upon this post. I got two, both of them without the GPS module (i think). And yeah everything works except pedometer, remove watch alert thing, anddd GPS. for pedometer, did you try sending this sms code? pw,123456,pedo,1# and see if it works..
Hmmm never heard they removed the pedo module before. Guess they’re really cutting corners to sell these watches. Thanks for informing. Hi my child watch is already registered and in use for 1 month. Last Friday he was out with a friend. I did receive an notification that he did remove his watch. When I want to go onto the app an track him I could not open the app on my phone It takes me to the log in screen. Previously I don’t need to log in. When I put in my log in details I still can’t go into. It ask me again to scan the back of his watch. When I do it says already registered. Ok here’s a few things you need to check. 1. When logging into your credentials, did you select the correct region? 2. Now if you still can’t login into your account, you need to perform a reset by emailing to this email address supportapp@3g-elec.sinanet.com. Be sure to include your watch ID, and let them know you have problems registering your account. Please wait about 24-48 hours for them to reply you. Once they replied, you can re-register the watch once again. Thank you Alex – thanks for the reply. Europe Africa 🙂 About an hour ago I did delete the app from my phone and install it again and everything was there. Everything was still there as previous registered but the location is wrong. Do you think I must still email the support to reset or how can I change the location. I did tick the location Update schedule Tracking mode every min. Thanks again really do appreciate. Hi Lily. Does your watch has E signal? What Telco are you currently using? After you send those 2.. See if it works or not? May I know whats the difference between Q50 and Y3 Wifi Models? I plan to get 2 units, but their favourite colour of Black & Dark Blue is out of stock. When will you have the stock replenished for these 2 colours? Please advise of any other models which have these 2 colours (if any). Hi.. The difference between Q50 and Y3 Wifi is that Y3 has wifi and the Q50 doesn’t have. In terms of location it will use the wifi location instead of the network location. Which I find unnecessary. As for the stock, I’m not too sure when they will be restocking again. Try checking out on Shopee by searching Q50 OLED, you should be able to get results from there. can I pair Q50 with two phones so dad and mum can track the kid? Yes you can. Just sign into the same account and both of you can track the kid.